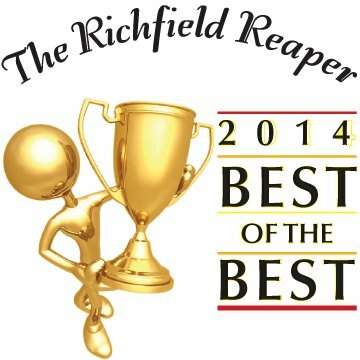 Square graphic made for this update on the 2014 Reaper Best of the Best contest. Feel free to use for promotional purposes. Woot, the contest has been well under way for a few weeks now . We’ve received more than 150 online ballots! For Roxanne and I this contest is particularly exciting. Well, for her it might be more like anxiety. This year was much easier on me because I could copy most of the elements from last years ballot. A few changes had to be made. Most noticeable are a few category changes and the decision to host it on my site. But, today I noticed how many people were starting to share it on their own Facebook and business pages. Which means, people are getting more excited about it and that means more and more votes! So, today I decided to dedicate a couple hours to some updates. One needed change was, name is a required field, this is for a couple reasons. This serves to stop people from submitting duplicate ballots (obviously relying on a bit of honesty) and secondly, we end up with quite a few people who probably, accidentally hit enter on the ballot, submitting an unfinished form, or nothing being submitted. Since Roxanne counts these by hand that can become very problematic. Also with the updates today, that ugly grey color started to drive me nuts and the header image could barely even be read. So, there have been some cosmetic updates that hopefully will increase readability and be less of an eyesore.